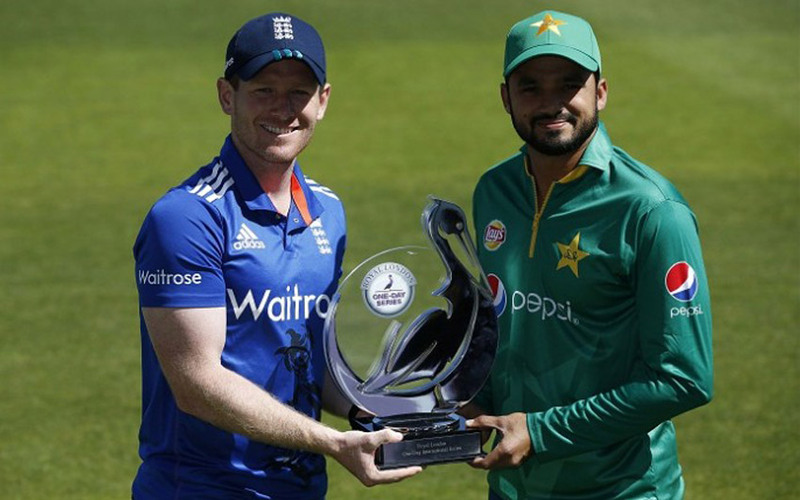 England vs Pakistan ODI Cricket Series: After the Test series between England vs Pakistan. Here they all ready to face each other in the One Day International Series from Today on Wednesday, August 24, 2016. The Pakistan team created a history by reaches the No. 1 place in the ICC Test ranking. But, the team stands in the ninth position in the ICC ODI ranking. Here we Provided the Team Squads, Live Streaming Update, Last Five Match Results, Facts and Captain Quotes. The First One Day International Cricket Match will be held at the Rose Bowl, Southampton. On August 24 at 14:00 local time (13:00 GMT, 18:30 IST). Here we provided the details of England Squad and Pakistan Squad along with the Live Streaming Online and TV. Jason Roy, Alex Hales, Joe Root, Eoin Morgan(Captain), Jos Buttler(Wicket-keeper), Jonny Bairstow, Moeen Ali, Chris Woakes, David Willey, Adil Rashid, Liam Plunkett, Mark Wood, Ben Stokes, Chris Jordan, Liam Dawson. Azhar Ali(Captain), Sharjeel Khan, Mohammad Hafeez, Babar Azam, Sarfraz Ahmed(Wicket-keeper), Shoaib Malik, Mohammad Nawaz, Imad Wasim, Hasan Ali, Umar Gul, Mohammad Amir, Yasir Shah, Wahab Riaz, Mohammad Rizwan, Sami Aslam. The England Cricket fans/people can watch the Live Cricket on Sky Sports 2 Channel and also on their Online broadcast. PTV Sports is for the Pakistan Cricket fans/people. And Star Sports 2 is for India. The England Team won the last three matches out off Five with one Tie and lose. The Pakistan team won only one match in the last Five One day International Matches. The England Player Jos Buttler needs his 22 runs to reach 2000 runs in One Day Internationals. The England Team have not lost an ODI series against Pakistan since 2005.